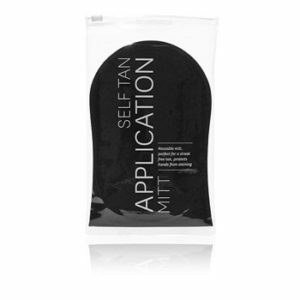 The 2 in 1 Exfoliating Mitt, by Tanning Essentials, is a great little exfoliation mitt that caters for both pre-tan skin preparation and the removal of a fading self-tan or spray tan. This multi-benefit massage mitt removes dead skin cells and rejuvenates the skin whilst improving circulation and preventing cellulite. 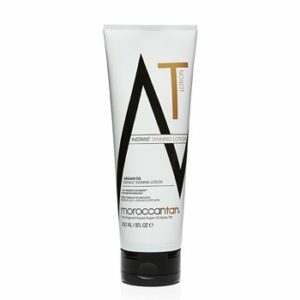 It is also ideal for use prior to hair removal or post waxing to help control ingrown hair. Tried and tested by our beauty therapists, we like to think this is actually a 3 in 1 mitt as it is great for pre-tan exfoliation, post-tan removal and post-waxing exfoliation. Developed for use in the shower with water, the 2 in 1 Mitt exfoliates the body, for pre-tan preparation while gently removing a fading tan, ready for your next tan. 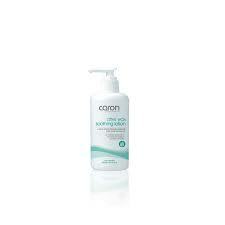 For best results use a small amount of water (no soap) with the mitt to exfoliate the skin. After use, rinse with soapy water and hang in the shower to dry.